As a kid, I once had a dream where Abraham Lincoln appeared randomly in our living room. For an inexplicable reason, I kicked him in the leg and he hopped around the room in pain. My brother still claims that I made it up because it's so random. I mention this to illustrate a strange example of how Lincoln's iconic appearance stands apart from most other presidents. It's not like William Henry Harrison was showing up in my dreams. While few films have been made depicting the 16th president, he makes frequent appearances in other realms of pop culture. I'm going to avoid discussing any books here because there are far too many to even count. Today sees the wide release of Steven Spielberg's Lincoln biopic, and Daniel Day-Lewis will make a fiery attempt to crack this list. It won't be easy. Let's check out this Top 5 list and see which Lincolns rise above the rest! 5. Lee Bergere in Star Trek, The Original Series: "Savage Curtain"
One of my clearest early memories of Star Trek's Original Series is an episode where an alien sets up a battle of good vs. evil using historical figures. 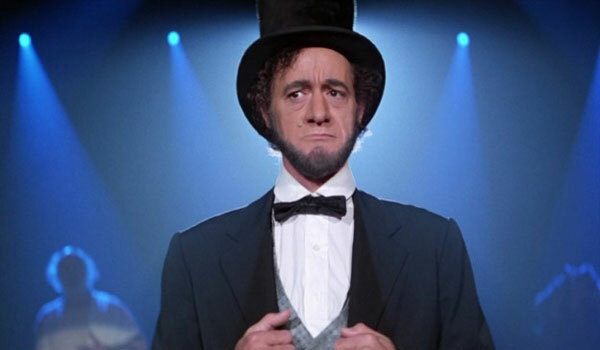 Their primary representative of good is Abraham Lincoln, played by television actor Lee Bergere. He joins Kirk, Spock, and Surak to take on a group of evil beings, including Genghis Khan. 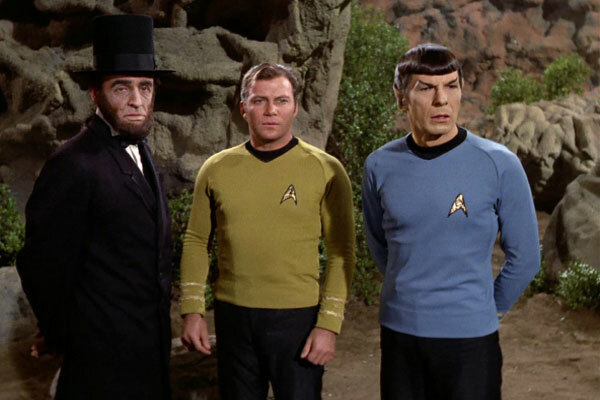 It's a silly episode with a molten rock alien running the show, but it still provides an interesting take on Lincoln. He's a hero to Kirk, who treats the creation with respect. They engage in a violent battle to prove the difference between good and evil, and Lincoln gives the ultimate sacrifice to save the day. Actor Robert Barron earned his keep in the theater playing the starring role in productions like "Abe Lincoln in Illinois", so it was fitting that he took that role in a silly movie. He also portrayed the 16th president in random shows like Get a Life and Out of This World, so he definitely fits the part. It's clear that he's a good sport given all the random appearances. Bill and Ted's Excellent Adventure is mostly about the title characters, but historical figures like Lincoln get a few standout moments. The hokey depictions of famous people from the past are over the top but work in this comic environment. 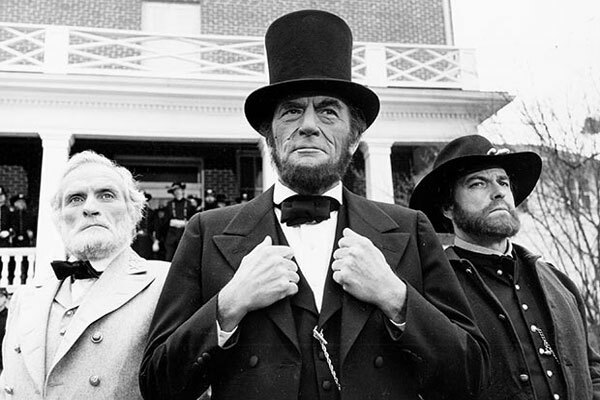 Although this 1982 TV miniseries hasn't aged that well, it includes one of the great portrayals of Lincoln in the medium. His appearances are pretty brief, but Gregory Peck brings grace and wit to the role. The experienced cast includes Paul Winfield, Stacy Keach, and Lloyd Bridges, and they bring life to the ambitious story. The 381-minute production does a nice job depicting the conflict while sanitizing a lot of the horrors. While we know the final destination for Lincoln, Peck brings enough realism that we feel the tragedy. He isn't one of the main characters but has the right weight to sell the material. I recently caught up with Shane Black's surprising take on Hollywood and film noir and really enjoyed it. Although it plays with the conventions of multiple genres, most of the material is presented like it occurs in the real world. This fact makes a silly fantasy moment near the end more surprising. When a character that's apparently dead returns, there's a clever gag that reveals the arrival of some famous historical figures. One of them is Lincoln, and the appearance works a lot better than it may seem from this short description. This is just one example of the many surprises in this 2005 gem that should be seen by a lot more people. Tom Willett also played Lincoln on The Drew Carey Show and Bringing Up Jack, so he has the right appearance for the brief role. Why is this overly patriotic attraction at #1, you ask? I have a great affinity for the hokier attractions in the Disney past that aren't trying to provide thrills. These include headliners like The Haunted Mansion and Pirates of the Caribbean, but those are obvious fan favorites. On the other side of the spectrum are less-popular attractions that have built cult followings yet don't attract crowds. A prime example is Great Moments with Mr. Lincoln, originally created by Disney for the 1964 World's Fair in New York City. Royal Dano provides the voice as he cites passages from a famous speech. 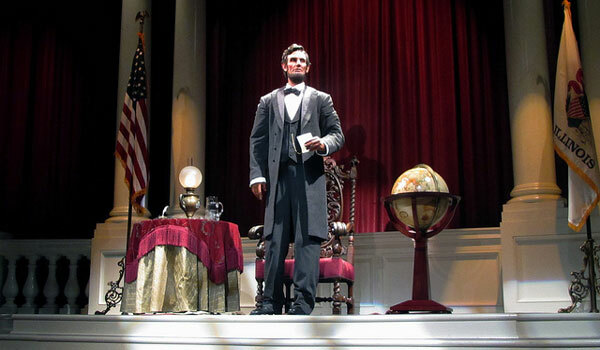 The audio-animatronic Lincoln was replaced in 2009 with a new version that represents the latest technological advances. While it offers a simplified version of history, the show still has something to offer. I appreciate the fact that it's playing after nearly 50 years and looks better than ever. I'd love to hear your thoughts about this list and you favorite Abe Lincoln pop culture depictions. Are you upset that I omitted his silly appearances on Mr. Show or The Simpsons? You should also check out my past Top 5 Lists if you've missed them. BILL AND TED Abe Lincoln is my favorite! But Beethoven was also pretty epic in that film. Margaret, it's true that Abe can't compete with a few of the others like Beethoven, but it's still a fun character. Such a silly movie! Do check out LINCOLN soon. Great creation of honest Abe. Sam, I'm definitely hoping to see Lincoln in the near future. 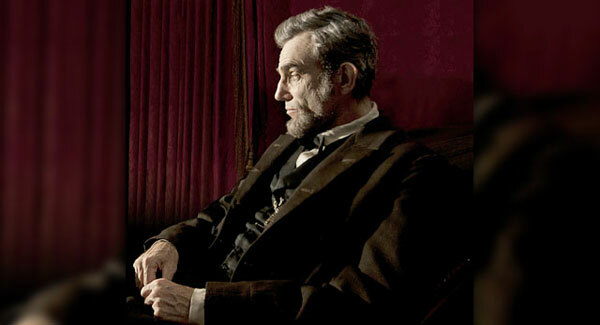 I've heard mixed things, but I'm curious to see how Daniel Day-Lewis does as Lincoln. Thank you for the nomination. 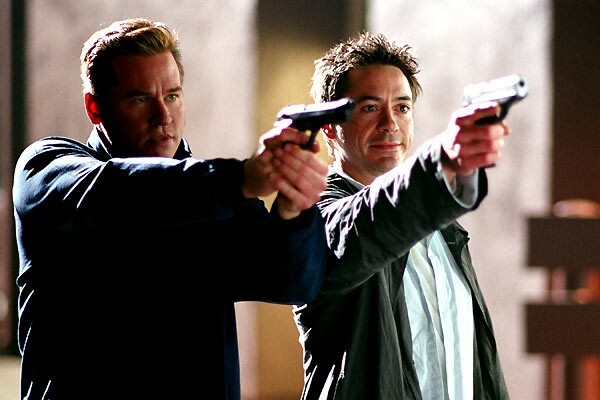 Kiss, Kiss, Bang, Bang was a fun movie. We worked at the Ambassador Hotel in Los Angeles, which was destroyed years ago to do something more profitable with the landmark real estate. I also played the part of Abe in Happy Days and Mork and Mindy. Tom Willett. No problem, Tom! Thanks so much for the comment. I'm glad to hear that Kiss Kiss Kiss Bang Bang was a fun experience.